Fenabel’s new catalogue for Health Care was created to fit the needs of nursing homes, care centers, hospitals and clinics feel on their everyday routine. 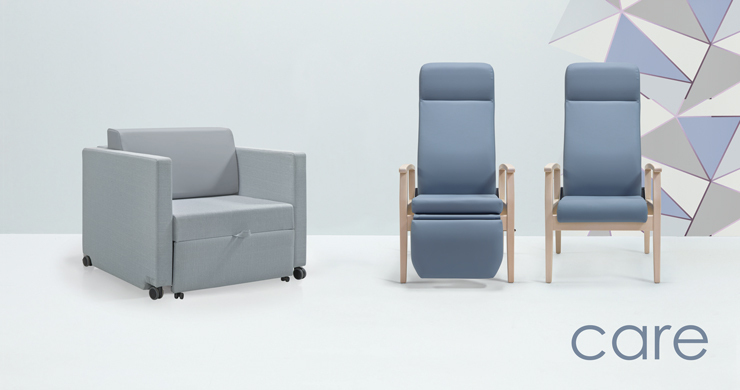 The levels of comfort required vary among, a patient’s recliner, and a guest’s sleeper sofa. That’s why each product and solution is designed to create an optimal experience in a specific setting. If you wish to know more about our Care Collection.